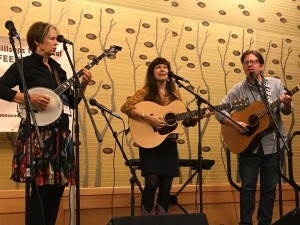 She is joined on these recordings by Cat Fox on backing vocals and percussion, Laurie Lynn Tucker on Cello and backing vocals, and Crispin Faget on guitar and backing vocals. 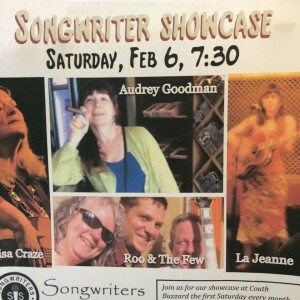 Audrey has been writing music since her teen years. 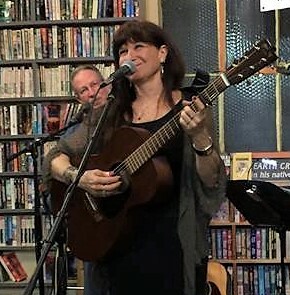 She has her own publishing company, Mother Mode Music, whose catalogue of instrumental pieces is monitored by ASCAP. 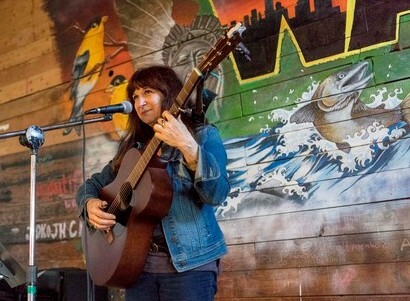 Her instrumental pieces have enjoyed recorded performance all over the world. Since moving to Seattle in May of 2013, she’s been writing and performing songs that reflect the challenging political issues of our day, with humour and depth. Additionally, she continues to write new songs in various genres, about life, love, birth, death, and furry toes. 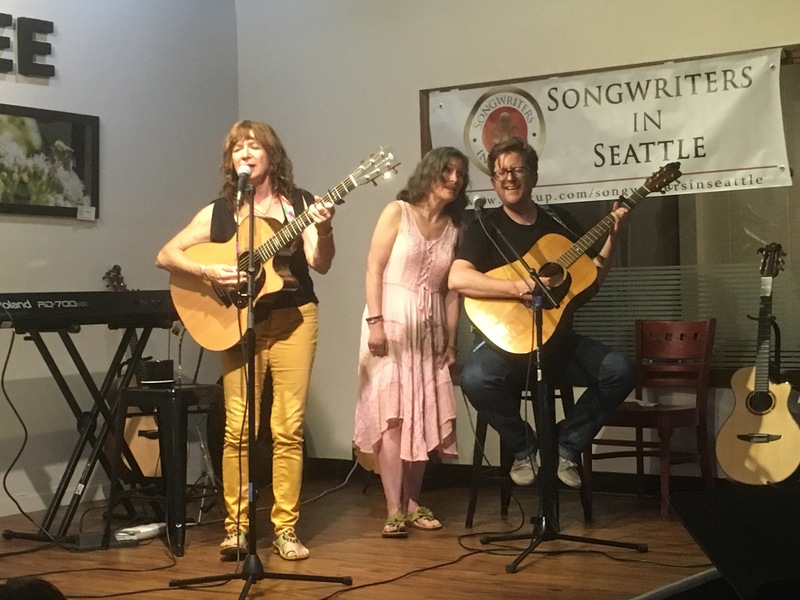 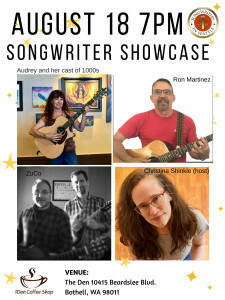 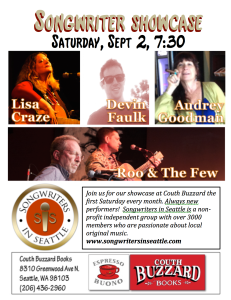 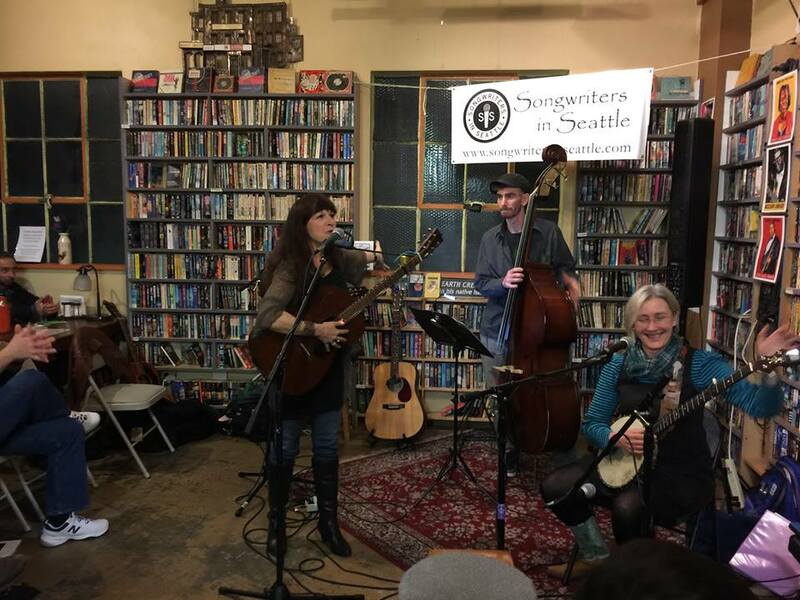 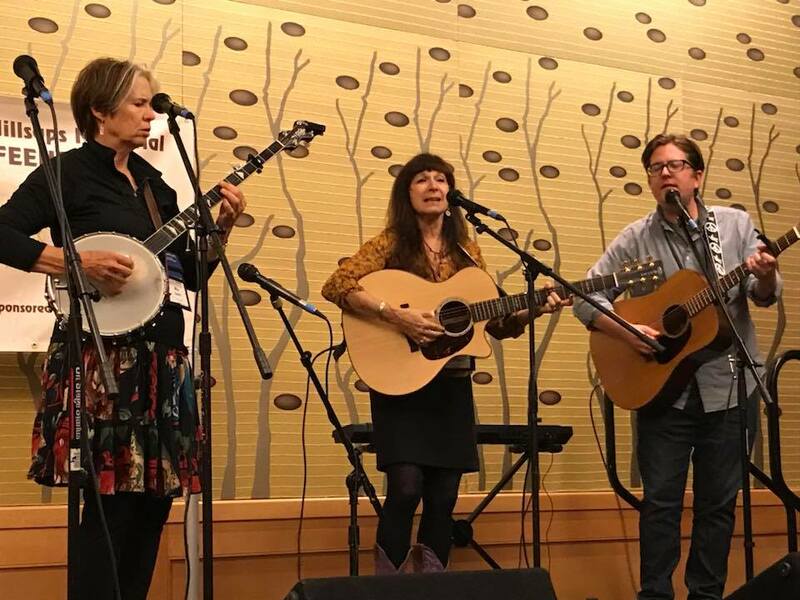 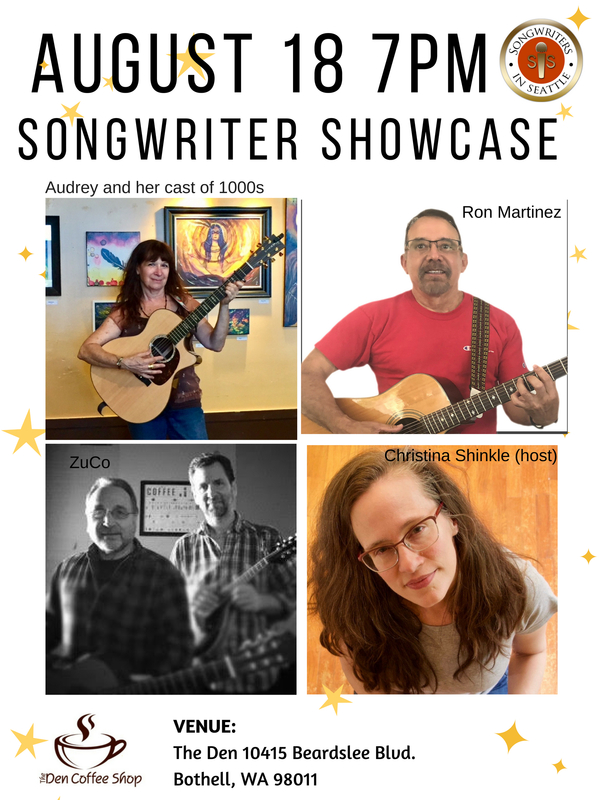 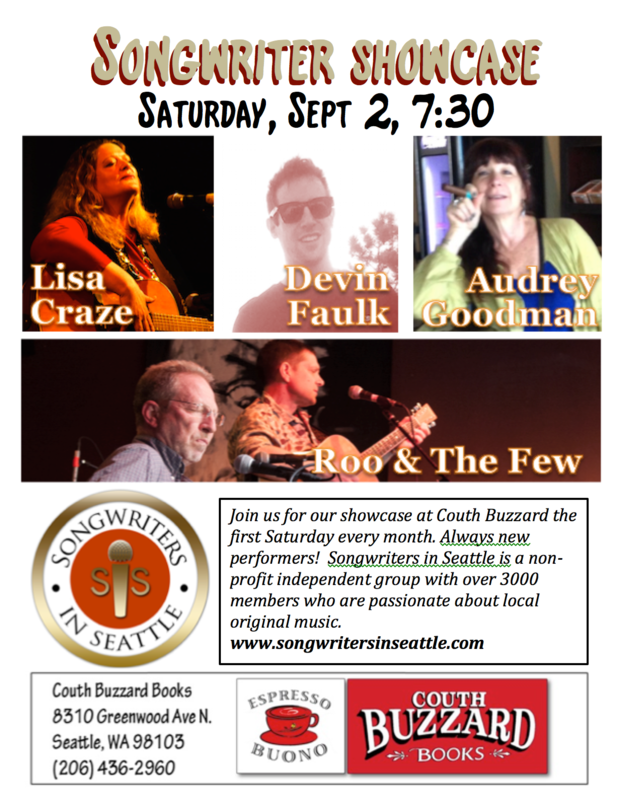 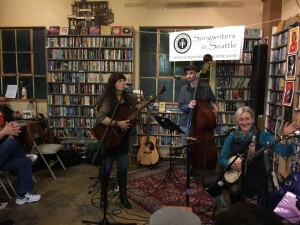 She’s on the board of Songwriters in Seattle, and you can find her performing around town now and again with talented friend musicians as “Audrey and a Cast of Thousands”.